Sounds all fuzzy and inviting, right? Well, I’ve found some winter warmer recipes that you should definitely try to help get you through the cold months ahead. What is winter without Malva Pudding? It’s an absolute South African traditional favourite, we grew up with it, Mom made it, Granny made it… Try this mouth-watering Malva Pudding with a bit of a twist – delicious Amarula syrup. Salads aren’t only for summer, no, you can have a scrumptious winter salad made from vegetables and other warm ingredients. This salad is a must-try this winter, with butternut, millet and a delicious chunky herb dressing. This dish is the handiwork of one of the world’s most-loved chefs, Jamie Oliver, and is, as he would describe it: “moreish, spicy and a total joy”. Perfect for a cold winter’s night, it includes lovely ingredients such as porcini mushrooms, red chillies and cannellini beans. There’s nothing like cuddling under a warm blanket in front of a crackling fireplace with a hot cup in your hands… This recipe is simply delicious, made in only 10 minutes with malted milk powder, vanilla seeds and cinnamon. From another of the world’s culinary experts, Gordon Ramsay, this hearty soup of bacon, sweet corn and potato with leave your family asking for seconds. It’s easy to make and will go down very well with freshly baked bread and butter on a cold winter’s eve. 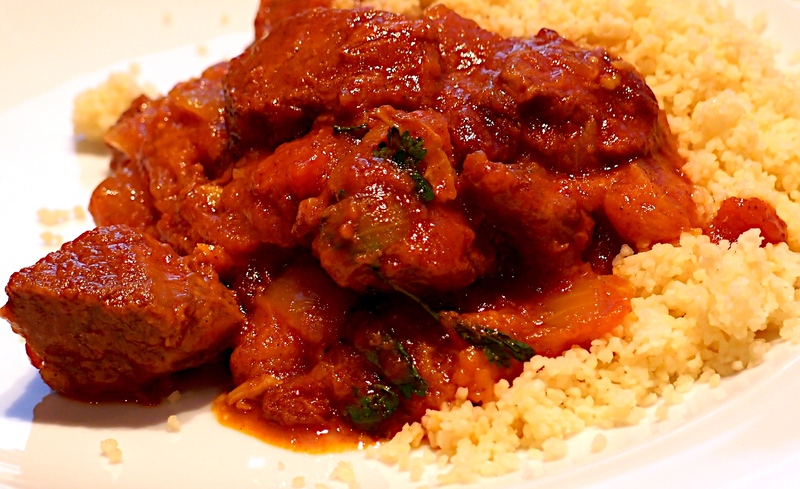 This tagine is rich and multi-layered in flavour, with the sweetness of apricots and honey, and the spiciness of cinnamon and paprika to beautifully complement a lamb shoulder. A Pinot Noir will be the perfect accompaniment to this warm dish. Bread pudding is always welcomed in winter, and this super-decadent one is made from buttery croissant bread, white chocolate chips and powdered sugar. Your family will be thanking you for this one! Perfect to sip on a cold winter’s night, mulled wine is very easy to make and serves many. With some choice liquor, cinnamon sticks and brown sugar, you’ll be warm and fuzzy from the inside out with this recipe. What about a spicy curry to get you through the chill? This beef, spinach and cashew Korma is sure to do just that. Serve it with steamed basmati rice and coriander. It’s also perfect for freezing and re-heating on those nights that are really too cold to be spending it in the kitchen cooking. I just had to throw this recipe in the list… Everyone loves doughnuts, and everyone loves French toast, right? So combine it, and you get mouth-watering doughnut French toast. The lovely Nigella is to thank for this easy-to-make, delicious winter treat made with bread, vanilla, eggs and caster sugar. Put your business in gear with a Trade Account! These recipes look delicious. Amust to try! Hi Eva. Click on the links in the article. How do I get these recipes? The heading to every dish is the link to the recipe. Hi there Liezl. I would like to get more recipies if possible.